Dimensions 1.25 by 8.50 by 9.75 in. Engineering Mechanics: Dynamics excels in providing a clear and thorough presentation of the theory and application of engineering mechanics. Engineering Mechanics empowers students to succeed by drawing upon Professor Hibbelerâs everyday classroom experience and his knowledge of how students learn. This text is shaped by the comments and suggestions of hundreds of reviewers inÂ the teaching profession, as well as many of the authorâs students. Also Available with Mastering Engineering -- an online homework, tutorial, and assessment program designed to work with this text to engage students and improve results. Interactive, self-paced tutorials provide individualized coaching to help students stay on track. With a wide range of activities available, students can actively learn, understand, and retain even the most difficult concepts. The text and MasteringEngineering work together to guide students through engineering concepts with a multi-step approach to problems. Note: You are purchasing a standalone product; Mastering Engineering does not come packaged with this content. 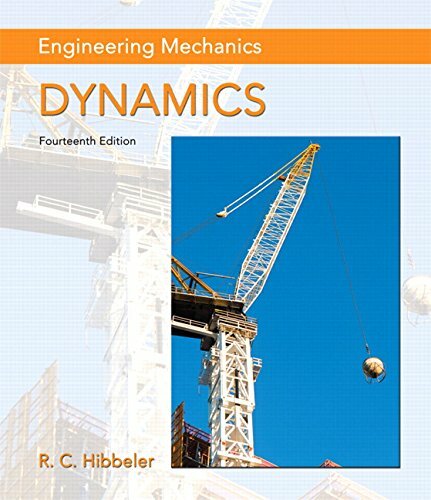 Students, if interested in purchasing this title with Mastering Engineering, ask your instructor to confirm the correct package ISBN and Course ID. Instructors, contact your Pearson representative for more information.